Does your small business need MORE business? Call 1-647-298-3340 and ask about our 5X GUARANTEE. 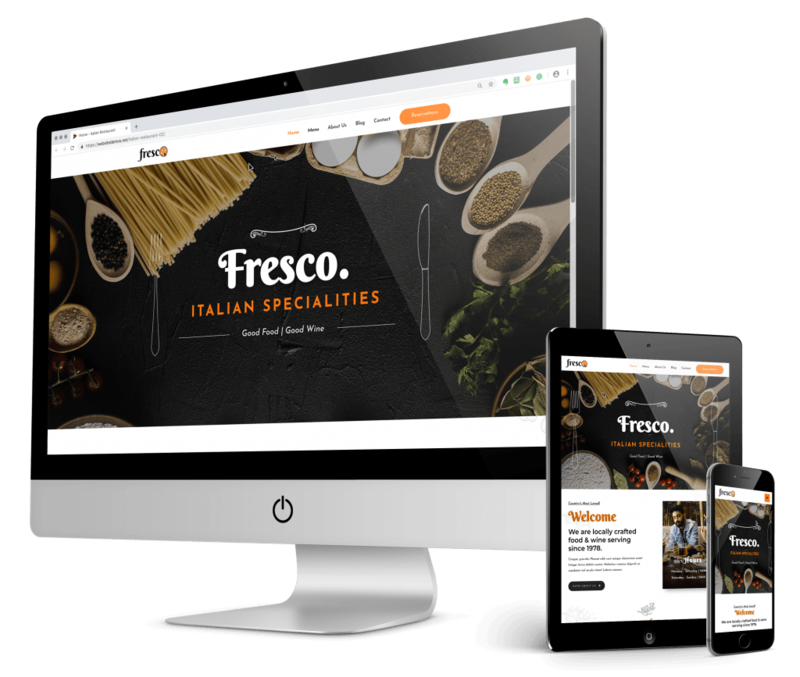 Five things your restaurant website needs in 2019. Let Google Analytics do the hard work for you. With a list of email subscribers you are in control of everything. Blogging for your restaurant is one of the most powerful cost effective things you can do. It’s great to have a cool looking website with some professional flair that loads fast, but you should not let the appearance of your website override the importance of how it brings in new customers for your local business. With that in mind, if you are having a new website designed (or updating an old one this year), there are a few things you need to have included and ready to go as part of your online presence. #1 – Mobile traffic is a real thing, so make sure your website is mobile responsive. Sounds obvious, but still often overlooked. This functionality is the absolute most critical aspect of your new website because the majority of your traffic is going to be from devices smaller than a desktop computer. Yes, that’s right – expect that at least 60% of your traffic will be mobile. I would go even farther to say that it is more important to have a mobile website than it is to have a desktop version. You may have heard the phrase “design for mobile first.” Think about it – what device do you use when you do searches? If that is unclear then just watch how many people grab for their phones and search. My local food clients get more than 65% of their traffic from mobile devices. Mobile search is highly relevant to local business, and in particular food businesses because people are often searching for something when they are out and about. It makes sense. Another important aspect of mobile design is that Google will penalize your local business rankings if you do not have a mobile version of your website. So yeah, there’s to deal with too. If you don’t have a mobile website right now, get on the phone to your designer – because it’s downright embarrassing and by that, I mean people are embarrassed for you. #2 – Get your Google MyBusiness listing claimed and updated. Google offers an incredible amount of exposure through these free listings – and it’s there for the taking. If you don’t take it, your customers (and other people – like your enemies) will do it for you, and that means you are leaving them in complete control of your business information, your reviews, your hours, your everything. Now granted, Google MyBusiness is not actually part of your website, but GMB extracts it’s listing information directly from your website and adds a link directly back to it. They are doing you a favour when they do that. The power of GMB is tremendous right now and lends so much weight to your restaurant search results that not having it, it’s just negligent. It’s like not offering your customers utensils when they order food. Is that how you run the rest of your business. #3 – Google Analytics is another free service offered by the search giant that shows you who is coming to your website, how did they get there and what they do once there. All your web designer has to do is add a little piece of code into the HTML of your website, and that allows you to track a boatload of valuable information. Let me ask you something. 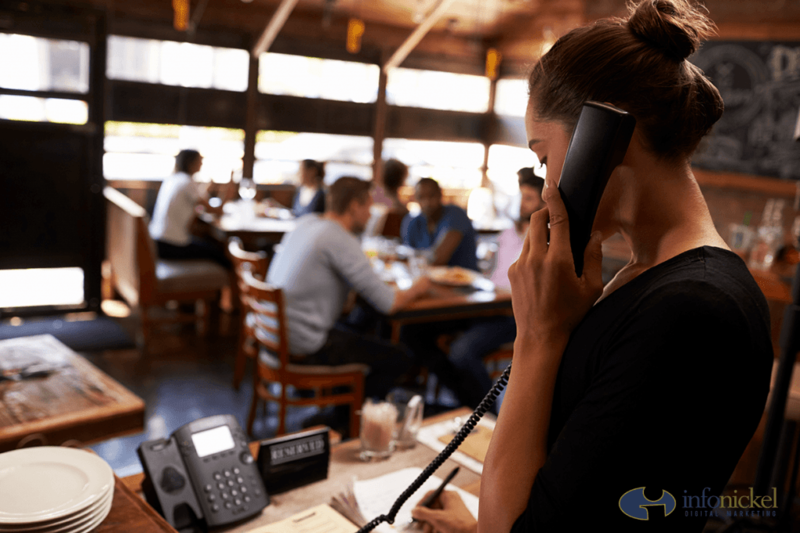 Have you ever talked to your customers right at their table and found out something interesting about how they discovered your restaurant? Of course you have – it happens all the time because if people like your place – they’ll want to make a connection with you. And isn’t that information valuable to you? It gives you insight, right? Well, think of Google Analytics that way in that you are gaining a massive amount of data about the types of people who are interested in your restaurant. And you can take that information and craft strategies around it, such as new menu items, new hours of operation, new advertising campaigns targeted to a specific audience, etc. It’s compelling stuff, just waiting there for you. If you want to get more familiar with all of the data Google Analytics has to offer, then check out Andy Crestodina’s blog post here. Prepare to have your jaw drop. #4 – Collect email subscribers. You’ve seen this all over the interwebs where once you’ve landed on a website a little box is asking for you to sign up for an offer, a coupon or perhaps a newsletter. Well, this is basically where email marketing starts. You submit to being on their list, and then you get sent promotional information via your email inbox. Maybe this has made you wonder in the past if you too should have an email list for your restaurant. Yes. You should. If there is any marketing activity that a small business restaurant should be investing in it is email marketing. Far and away it is the most cost effective method of advertising – because you are sending promotions to people who have already asked you to do that very thing. Chances are they like you already and want to buy more from you. That is what you would call a very warm audience. There is no other way to reach such a friendly consumer in large numbers. Put it this way – would you rather sell a lobster tail dinner promotion to a random group of 100 people or a group of 100 people who have been to your website, asked for promotions, and have an apparent affinity for seafood? Hmmm. I am going to say the latter group. And get this: it is inexpensive to do because there are many third-party providers of email marketing services crawling over each other to have you as their customer. Check out services like Constant Contact, Mail Chimp, Aweber, and my favourite GetResponse. You don’t have to be technically inclined to set this all up, as all of these services have drag and drop builders on their platform. 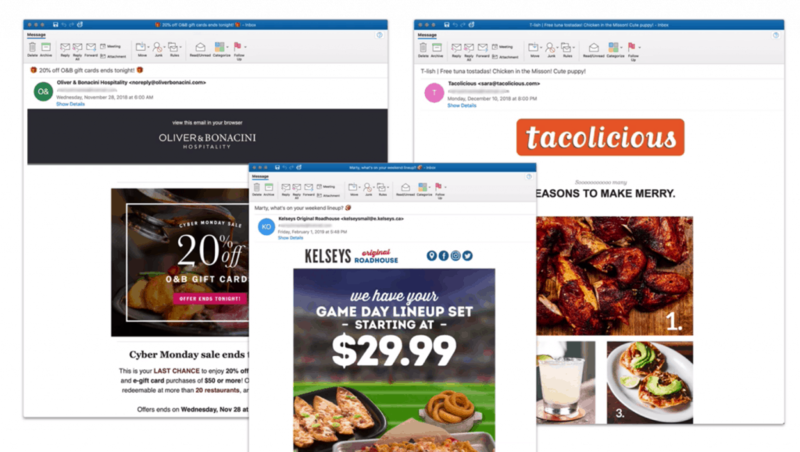 Check out this blog post that shows some of the significant features and potential for adding email marketing to your website. #5- Blog posts on your restaurant website are an inexpensive and very effective way to rank your web pages higher than your competitors. Let’s be clear here in that ranking higher means more sales for your restaurant. If that’s what you want, then blogging is a truly magical way of earning more customers. Your website should facilitate blogging, and there is no better platform to do this than WordPress. WordPress is a website builder that started as a blogging platform and now rules the world when it comes websites having nearly 30% of all websites on the planet. The benefit of having a blog on your restaurant website is that you can easily add content about your business promotions, but also anything else as it relates to your products, services, staff or branding. All you need to do is get in the habit of taking a picture, adding about 600 words of what is going on – all the while talking about your business and the community. You post content like this, and you will rank high because Google will do the rest. One of the reasons blogging will help your restaurant, diner, bakery or cafe, etc. so much is that your competition will almost certainly NOT be doing it. However, Google LOVES blogs and loves content. Google recognizes that regular, fresh content added to your website will attract visitors and keep them on your site for more minutes. This is a good thing. What I have noticed about small business owners is that they presume nobody will be interested in what they have to say, or it is boring to them because they do the same thing all day long, and this keeps them from committing to a blog schedule. The reality is that people (potential customers) really do want to know. Treat these posts like social media by taking an “action photo” or “glamour food shot” and writing up a bit about it. You would be surprised at how easy you can write about things sourdough bread, mushroom varieties, or slow roasting techniques. Or let some of your young staff have a turn at it – they just may be overflowing with ideas and interested in writing opportunities. The best way to get mileage out of these posts is to publish them on your blog first and then share them to your Facebook or Instagram profiles. With Google Analytics installed you will be able to see the traffic these blog posts generate. Over time, the analytics will uncover keywords in these blogs that are performing very well for your website traffic. It’s a fascinating and profitable exercise that shows measurable results over time. It also presents challenges for your competition if they ever decide to try to overtake your high keyword rankings. 9 things your small business website should do for you (that you probably haven’t thought of).